Variable Data – What is it and how to advantage of it? 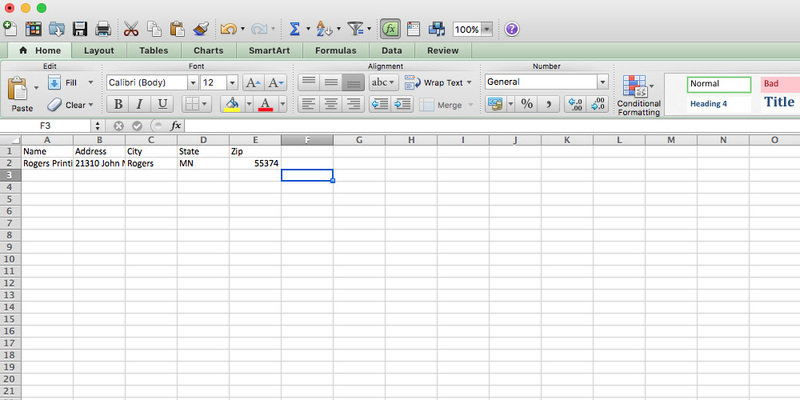 Variable data pulls information or images from a spreadsheet and places it into your marketing piece. You can use anything you know about a customer to potentially heighten their interest. 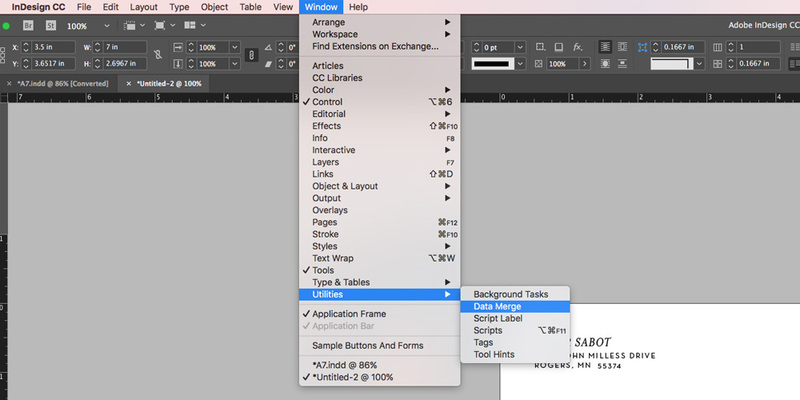 Use this to easily create variations within any document quickly and precisely. 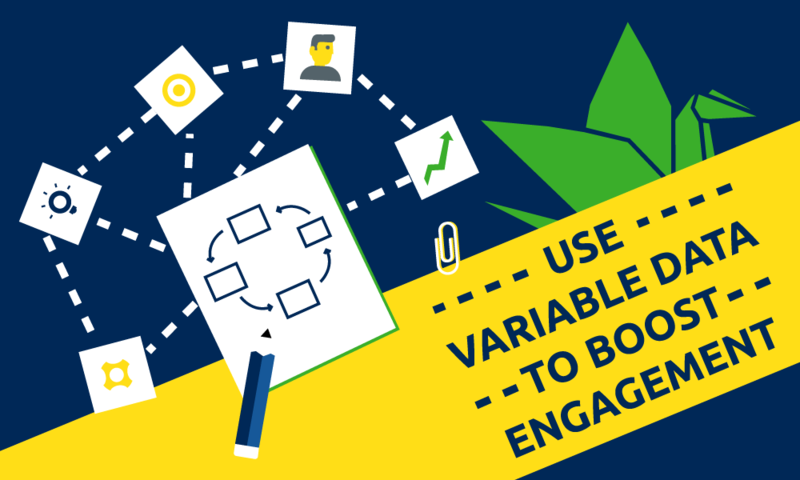 Return on Investment (ROI) varies depending on the project, but there’s typically a 4-10% boost in customer engagement, which should warrant a test of your own for variable data marketing. Personalization allows you to connect to your customers on a more intimate level. Imagine writing an entire paragraph dedicated to their interests! Or selecting an image based on gender or personal tastes. Before we start, we’ll need a .csv (comma separated values) or .txt (tab delimited text) file. Each row needs a specific title, and every column will consecutively pull data from its own row. 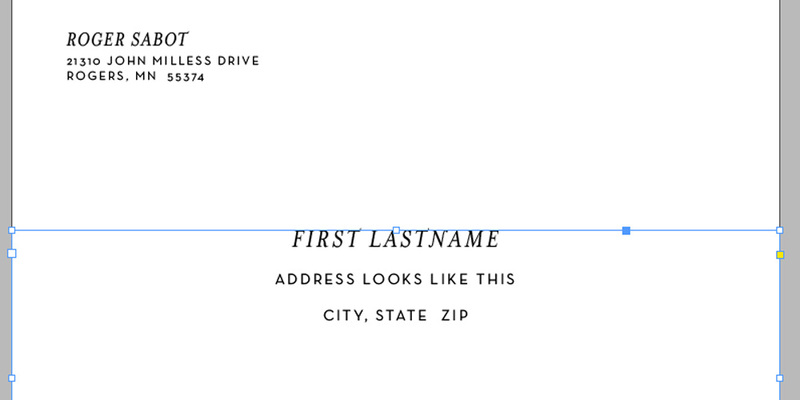 In other words, when I’m setting up addresses I’ll have a separate row for first & last name, address, city, state & zip. When I use those fields in my document, each placeholder will pull from the same column along the rows. Each column will be printed once. Each row may be printed as many times as the placeholder is used. 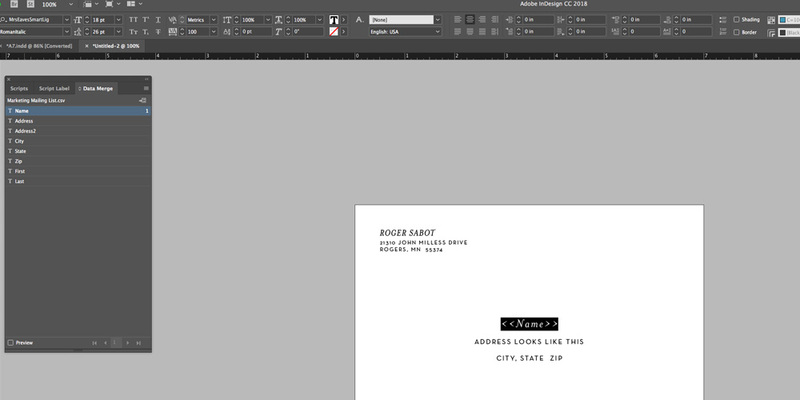 *Important: close this file once you’re done with it, you won’t be able to open it in InDesign until it’s not in use. 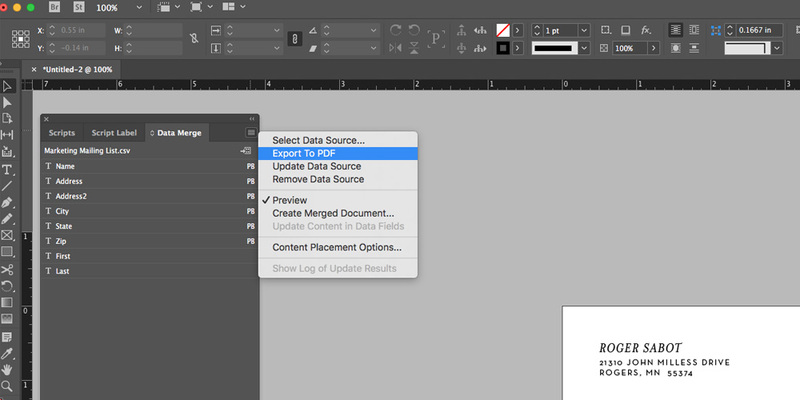 Now that we have our data to merge, we’ll create a new InDesign document and set up a text box. I like to style my type before I add the data, but do what you prefer. You can always change it once you see how the merged data looks. Now we’re ready to input the data. I’ll access that via Window -> Utilities -> Data Merge. A new window will pop up, and just to the right of that click on the three line drop-down menu and Select Data Source to find your list. You’ll see each title of your rows and be able to click each one to add a placeholder in your text box. If you’ve already formatted your type, select it and click on the field you’re replacing it with. If not, simply create a new text box. Once your cursor’s in the text box you can click each field to add then format. 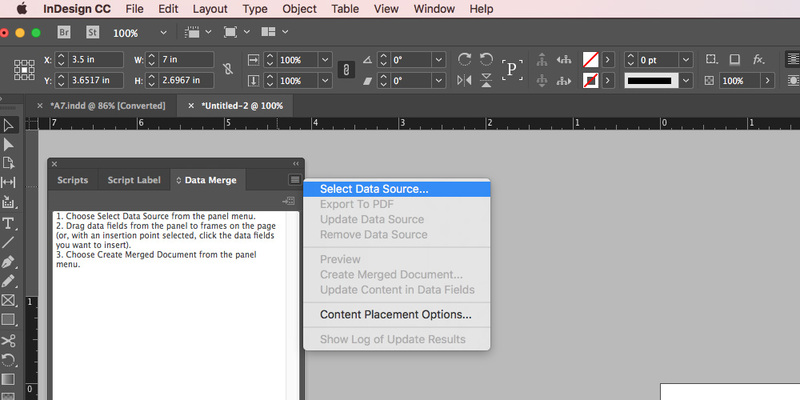 Once we’re done, on the bottom of the Data Merge window you’ll see a Preview checkbox. Select that, then use the arrows to browse through your list and make sure it’s formatted how you intended. The final step is usually to export this document to PDF, seen below. 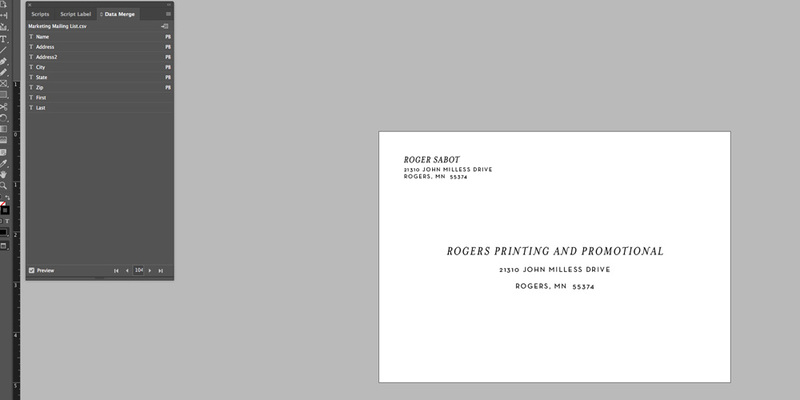 Sometimes depending on the job, we’ll send variable data straight to the printer for a quicker output. Otherwise, exporting to PDF will create a new page for each column of new information. You can use variable images, for example – gift certificates for different services. To do this, the row title needs to start with “@”, such as @product-image. To figure out the source path of the image, we’re going to shortcut so we do it correctly. Source paths are CASE-SENSITIVE and must show the exact path from the operating system. The easy way is to place one of your images for linking as a placeholder, then select the image and go to the LINK panel. Right click, then Copy Info, then Copy Platform Style Path. We’ll paste this directly into the image row. Done!